The Biome determines the shape of the terrain and basic temperature and rainfall guidelines. 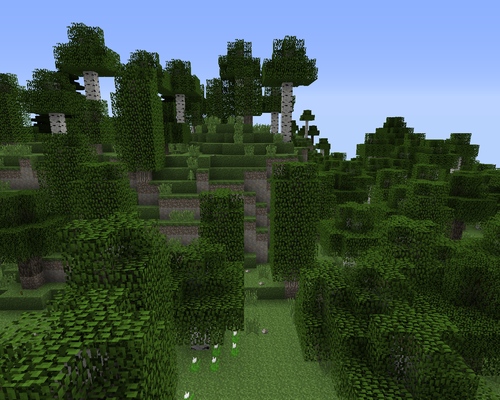 Unlike in vanilla, it does not directly define tree and plant growth. For determination of trees, and animals see Climate. 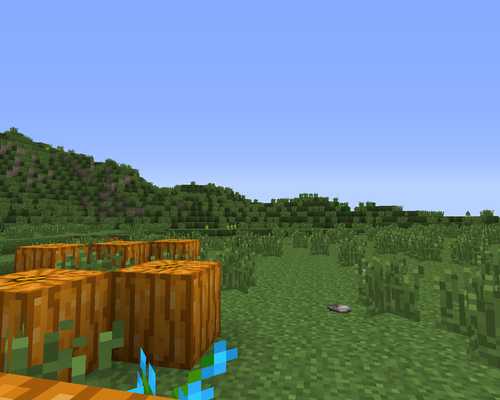 There are 7 Main Biomes and 5 Technical Biomes. 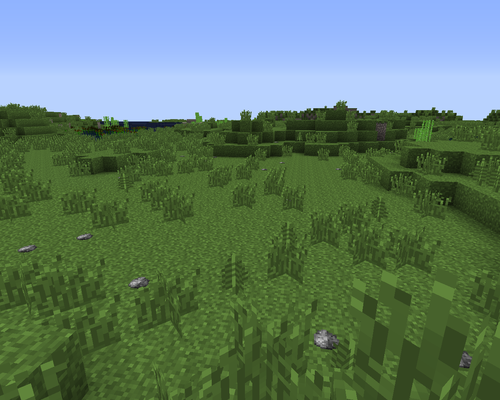 Biomes are pseudo-randomly generated using the map seed. Main biomes provide the general shape of the terrain along with the altitude. 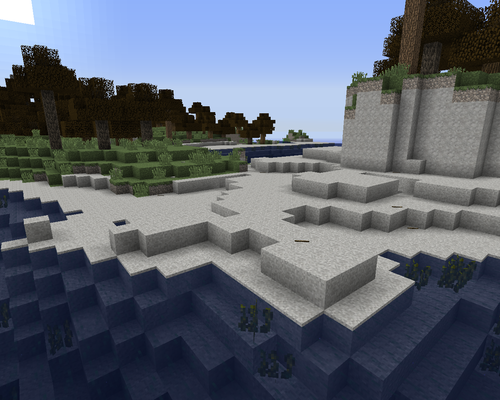 Technical biomes provide smoother transitions between main biome types, or introduce extra custom features within a main biome, such as rivers, beaches and border areas. Ocean An extremely large, open biome made entirely of water, with underwater relief on the sea floor, such as small mountains and plains, usually including dirt, sand and clay. Small islands with infrequent vegetation can be found in oceans. Squid will also spawn in the water. 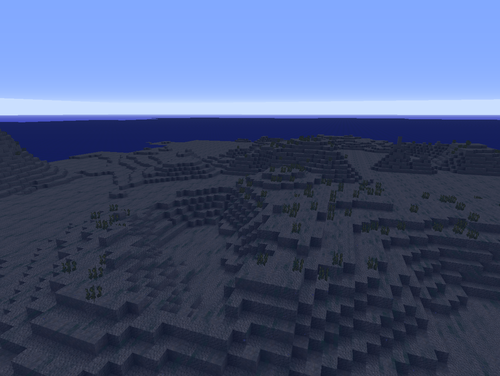 Oceans can also be generated as technical biomes, appearing as deep ponds on beaches. Plains A relatively flat biome. High Plains Similar to the Plains biome but at a higher altitude. Swamp A biome characterized by a mix of flat, dry areas around the sea level and shallow pools of water with floating lily pads. Peat, clay, sand, and dirt are commonly found at the bottom of these pools. 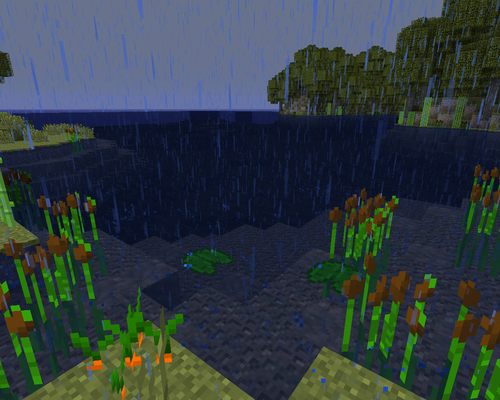 The colors of the water, grass, leaves, and vines are much darker than in other biomes. Mushrooms and reeds are very abundant. Mountains Can reach as high as y = 230. 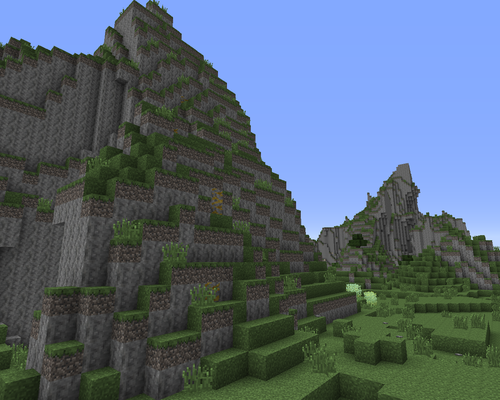 High Hills Similar to the Mountain biome but not as high. 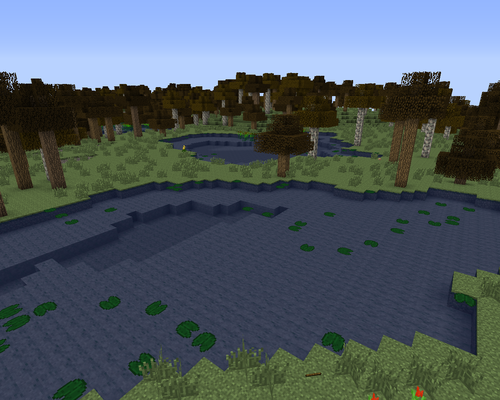 River A biome that consists of water blocks that form in an elongated, curving shape similar to a real river. Rivers cut through terrain or separate the main biomes. They attempt to join up with ocean on the other side, but will sometimes loop around to the same area of ocean. Rarely, they can have no connection to the ocean and form a circle. They have no current. 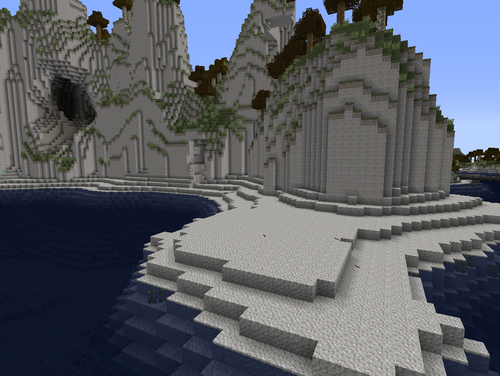 These biomes are good for fishing. Beach Generated on the shores of oceans, beaches are composed of sand. Unlike in vanilla, reeds do not generate on beaches. Gravel Beach Much like a regular beach, but composed of gravel. Lake A large pool of fresh water. This page was last modified on 7 May 2015, at 18:28.